Every women deserves a five-star pampering experience. At the heart of Bicutan, Paranaque lies a luxurious place to spend your me time. Luxe Aura Nail and Face Studio offers a relaxing and elegant pampering experience not just for women - but also for men and for the kids. 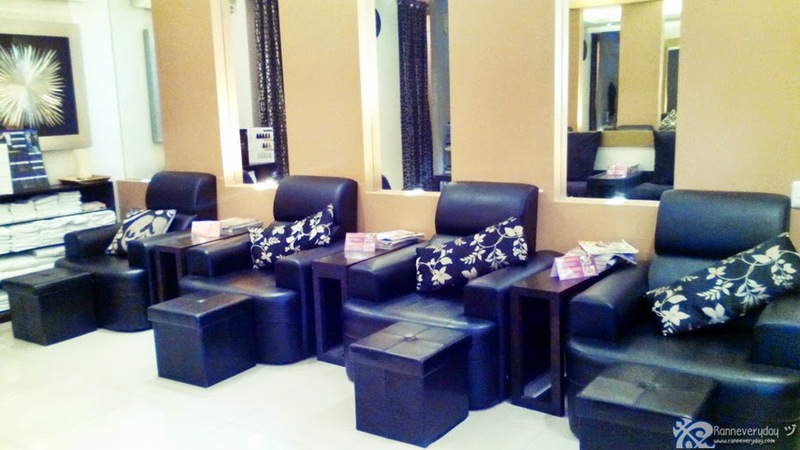 Luxe Aura Nail & Face Studio is located at Better Living Subdivision at Bicutan, Paranaque City. One tricycle ride from SM City Bicutan. It may not as grand like other nail studio around - but the place's simple interior will give you a feel of classy and relaxing ambiance. They have different services offered here at Luxe Aura. From manicure, pedicure, foot and hand spa, to hair care, waxing and threading. They also have their non-surgical Liposculpting. 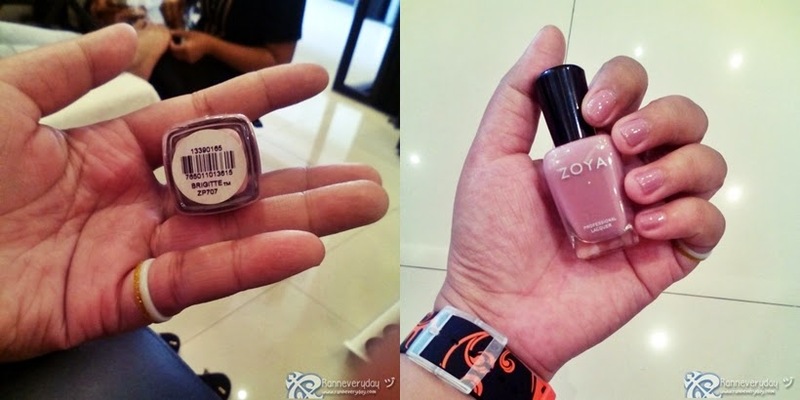 They have a wide-range of different imported brands of nail polish that every women would surely love: famous nail polish brands like Orly, OPI, ZOYA, Morgan Taylor, Essie and Chanel. 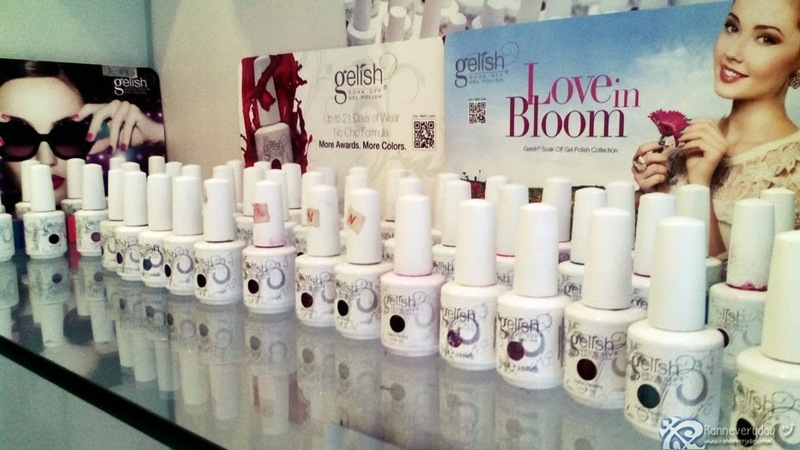 They also have their gel polish from Gelish which uses LED light to make each customer feel at ease because it is much safe to use unlike the conventional UV light. 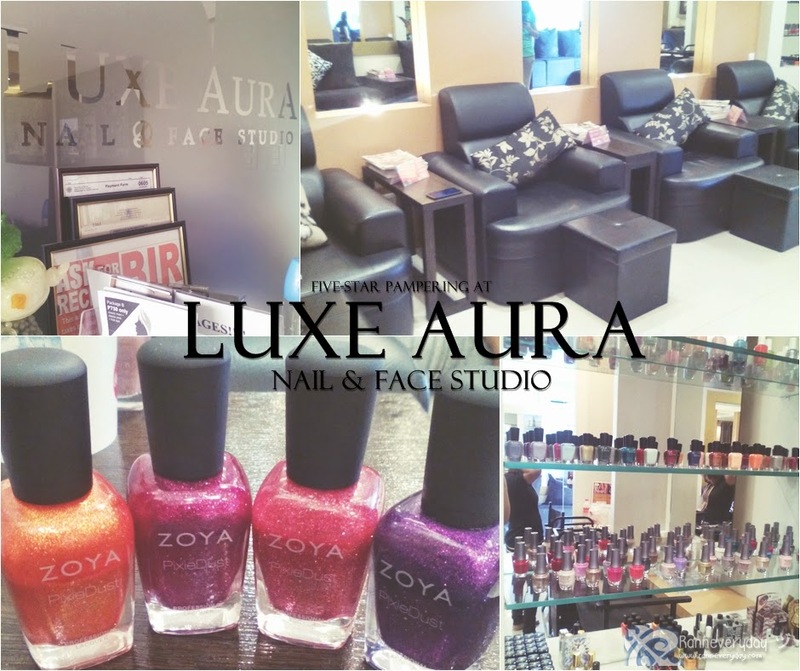 Aside for the nail polish collections, Luxe Aura is famous for its 6-step hand spa and 8-step foot spa which I had a chance to try. 8-Step Foot Spa: Soak > Callous Removal > Scrub > Mask and Wrap > Cleanse > Massage > Moisturize > Hydrate. My feet were soaked in warm water to soften the skin, and after a few minutes they removed the hard callouses. They applied scrub on half of my legs and wrap it in a cling wrap and a very warm towel. The mask and wrapping is my favorite part of the process because it helps your legs relax and feel at ease. After a few minutes, they cleansed my legs and gave a very relaxing massage. Moisturize it by putting some lotion and hydrate it with some oil. This foot spa package is a must-try. After the very relaxing foot spa, I also tried their manicure and pedicure. It's quite hard for me to choose which one should I try because the choices are too many. But I stick to something safe and classy for my hands and glittery but stylish on my feet. Luxe Aura Nail and Face Studio is not just for women - men and kids can also enjoy a very relaxing pampering experience. They have services for men like hand spa, foot spa, foot spa with paraffin, and men's body scrub. Kiddie treats for the kids like kiddie manicure and pedicure and kiddie foot spa. Others may think that the prices are a bit higher than others, but it is surely well-spent because of the services, the products used and also how the staffs treat their customers with care. 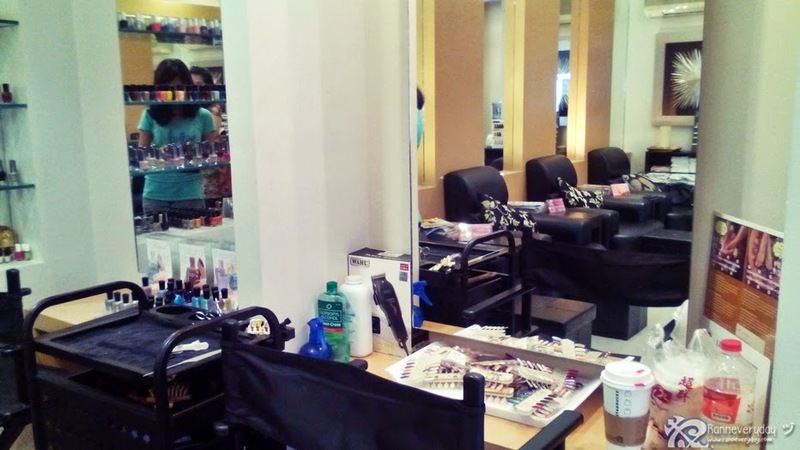 Luxe Aura Nail & Face Studio is a perfect place to go for your me time. Be sure to drop by, relax, have a perfect pampering experience because you deserve it!